The health of the financial system is a bit concerning with the Federal Bank’s decision on quantitative easing. Word among many is a recession is approaching, and with the “Federal Reserve” raising interest rates several times this year, and teasing to raise it at least two times in 2019, things aren’t looking to improve anytime soon. Major players around the world, at the highest levels of power, have heard about cryptocurrencies / digital assets, most notably Bitcoin, Ethereum, Litecoin, and XRP. Bitcoin has seemingly sparked a “financial revolution.” Since its creation in 2009 by Satoshi Nakamoto to solve the double-spending problem. Cryptocurrencies utilize a distributed ledger technology and do not rely on government authority to run and operate its underlying technology Blockchain. Cryptocurrencies have steadily captured financial market space, and has received interest and even investment from major institutions, companies, celebrities, public figures, serial entrepreneurs, and more. What could happen to Bitcoin in financial collapse? One of two things could happen. Bitcoin, could crumble along with the global markets in the event of a recession. The second would be that countries and anarchists who believe in economic freedom could adopt Bitcoin or other digital currencies, leaving the fiat in its grave. 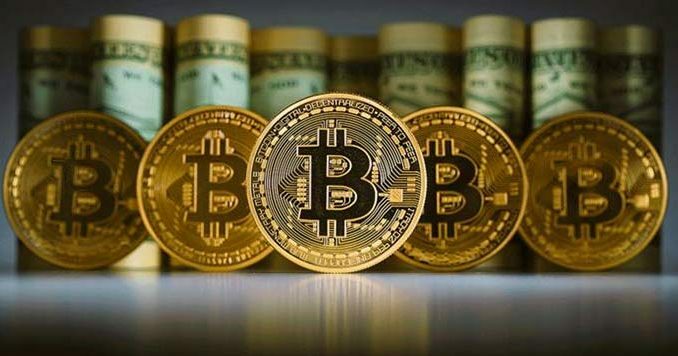 Unlike the fiat currencies, Bitcoin’s supply can never be increased to more than 21 million, thus it would not suffer inflation at the hands of centralized governments like Argentina’s Peso or in Venezuela, where Bolivar lost almost 100% of its value. The cryptocurrency XRP has a current max supply of 99,991,738,974, and a little XRP is burned with each transaction that is conducted using XRP, thus continuously increasing it’s scarcity with use and time. The financial system involves a lot of middle-men, who increase the friction in transacting money, which leads to higher transaction fees and processing times. Cryptocurrencies/Digital currencies eliminate all these problems which only exist with fiat currencies and their centralized setup. Fleeing a sinking currency in favor of a digital one with no central control, such as Bitcoin, seems like a likely action. Mike Novogratz, an investor, and a Bitcoin enthusiast expressed how he thinks Bitcoin could be the next store of value. He also said how Bitcoin is still the best performing asset when compared to traditional stocks even though it has collapsed by more than 85%. “If you bought Bitcoin two years ago vs the S&P or any other asset, you’re still up more, if you bought Bitcoin two years ago vs gold, you’re still up more, if you bought Bitcoin a year ago, quite frankly, you’re up more. So, you’ve got to sometime step back from the immediate and look at the slope we’re going on, it’s actually close to a miracle that some guy created a program and 10 years later still has $80 billion of value as a digital store of value, that got David Swenson from Yale to invest in it, that got Abby Johnson from Fidelity to say “we’re gonna build business over in crypto”. As long as money [fiat-currency] is being controlled by centralized authorities, it is susceptible to mismanagement, and hence no country could ever be impervious to the threat of rampant inflation. Some people are still unsure about digital currencies and might still be stuck with the idea of fleeing a sinking fiat currency in favor of a digital one with no central control.